Yesterday night I tried the pilot of Black List. Good enough to try some more. I watched some chapters of this exceptional documentary on YouTube; so when I saw this remastered version offered for slightly more than EUR 20, I quickly took the chance. My purchase included a Spanish translation of Civilisation: A Personal View, a book that contains the script prepared by Clark for every chapter of the documentary. It's quite funny to read the apologies written by Clark for the Spanish edition, where he explains - quite poorly - the reasons why Spain is almost not mentioned in Civilisation. Of more current series, I watched most of the first season of Boardwalk Empire (also quite stylish but with a lot of brutality and some implausible things), probably should finish at least the first season. I'm currently on Season 2 of this. It's more impressive and realistic than Season 1, in fact really well done on the whole, with increasing depth to the characters and events. However, I can only take so much violence and gangsterism in a short time. 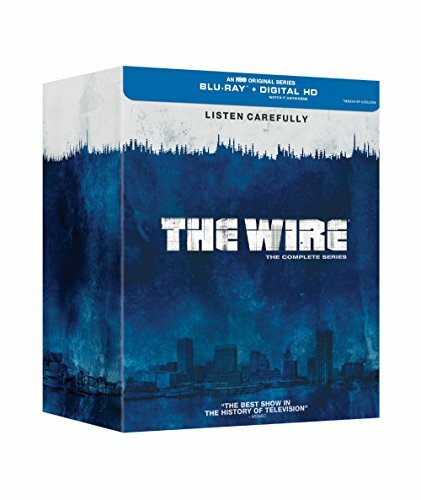 I think "The Wire" is still the most impressive TV series I have seen although the last season is considerably weaker. Breaking Bad was drawn out a little too long but it was also very good, I think. Someone wrote that he found it rather disappointing when re-watching, this may well be but nowadays I hardly watch this stuff twice. Even the better ones are often too dependent on cliffhangers and twists and not really good enough for being watched twice within a few years. I'm currently watching Game of Thrones season 5 and Wolf Hall. Loving both too. Love Thrones. Would like to check out Wolf Hall; I think I own the book! Yes, Thrones is really excellent. I've heard great things about the books Wolf Hall and its follow-up, Bring Up The Bodies (great title!). Hilary Mantel is writing a third volume. Having recently finished Showtime's The Tudor's, Wolf Hall provides a nice contrast. FWIW, I enjoyed The Tudor's, but totally dig Wolf Hall! I'm a great fan of Game of Thrones, too. I'd like to try the books, but unfortunately I don't have time enough. I love George R.R. Martin's ability to create a complete universe, so evocative of the actual problems of our "real" world. P.S. : Wolf Hall looks very enticing, and highly praised for many reviewers. Anyway, I'm not too much optimistic about the future of this series after seeing cancelled great projects as "Utopia" and "In the Flesh." I tried the first episode of the Wachowskis' new Netflix series, Sense8. Shite. Purest shite. Just finished watching season 9 of Criminal Minds. Coincidentally, I tried the first chapter yesterday, too. I didn't reach the end. I haven't watched the last seasons of Criminal Minds, just, I think, the first four or something so. I always loved the quotations of the open scene. I also think they never had the same level again, after the quitting of Mandy Patinkin. From the drug-infested streets of West Baltimore to the corruption of City Hall, The Wire chronicles the tribulations of a post-industrial American city. Viewed from the perspectives of both the police and their targets, the award-winning series captures a world where easy distinctions between good and evil,and crime and punishment, are challenged at every turn. This arrived last week, it is the 3rd complete TV series I have ever purchased; watched the first 2 episodes last nite .. I found the book outstanding. It took a while to get used to the style. It irritated me at first. But then it seemed to click, and make the book very vivid. I have the sequel planned for this summer. How we spent our holidays. 'The Messengers' - I have no idea. Something about strangers with no obvious connection drawn to each other and having an adventure. I remember a similar storyline many years ago in a book written by Dean R. Koontz before he started wearing a wig. 'Game of Thrones' - if the scene between Tyrion and Dany had been a competition in the acting stakes, the final score would have been: Peter Dinklage, 109 points vs chick with bad hair, -943 points. It was a massacre. 'The Leftovers' - I like the idea that nothing has been explained as far as the disappearances are concerned. Wow, and there's Christopher Ecclestone - I think I first saw him in a drama series titled 'Our Friends in the North' which regardless of your political leanings you might enjoy - and look at him now. Also, I would very much like to photograph the actress who plays the daughter. 'Mad Men' - I've watched every episode. Toots (not my girlfriend's real name) had been waiting to watch the last two episodes back to back. So we watched the penultimate one. Ah, Don removes a heavy weight from his shoulders and then lessons in life are proffered and learned. We took a break. I fielded many "What do you think is going to happen in the last episode?" questions. Then I told her I wasn't going to watch it. And her reaction was that you would think I'd committed a crime. At one point she tried to punch me in the back of the head when no one was looking. How could I choose not to see the final episode?! I don't know. Maybe I simply lost interest in the show very late in the day. Anyway, I borrowed an umbrella, went out in the rain to buy fish and chips, smuggled them in to the hotel, and then "...do you want me to tell you now it ended?" Okay, go ahead. So she did, in great detail, before saying "...but I don't really get it" delivered with a furrowed brow and pout. And she wasn't at all amused by my suggestion of ...and they lived happily ever after.